Performance fans Down Under have even more reason to fret, too, because the same source claims that a right-hand drive variant of the future Chevy Camaro is also "highly unlikely." Production of the coupe is moving from Canada to GM's Lansing, MI, plant for the next generation, and the model is reportedly based on the Alpha platform - also used by the ATS. If true, the rumor suggests the end of an era for Holden in Australia. It could mean there will be no rear-wheel drive GM V8s in that market after local production shuts down. The Commodore is rumored to be replaced in the lineup by a version of the imported Opel Insignia, a front-wheel-drive-based sedan.Chevy SS successor and RHD Camaro plans axed? originally appeared on Autoblog on Mon, 17 Nov 2014 10:01:00 EST. Please see our terms for use of feeds. 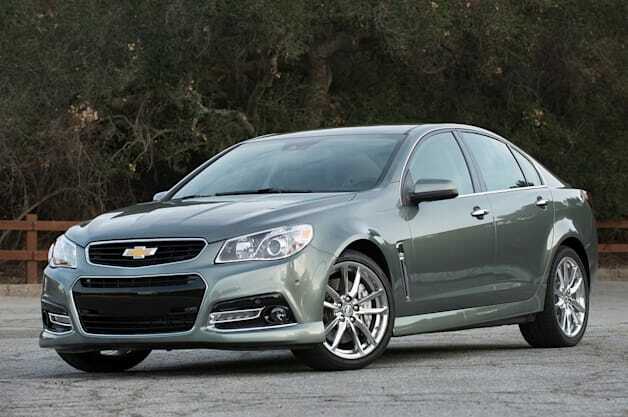 Quick Reply: NEWS: Chevy SS successor and RHD Camaro plans axed?